Ralph Simon is acknowledged as one of the founders of the modern mobile entertainment & content industry. Over the last 18 years, he has been a prominent global mobile trailblazer and innovator, helping grow the mobile entertainment, mobile health and mobile content industry, while playing a central role in its impact and presence around the world. Today, mobile is a key platform to reach the over 7.3 billion mobile subscribers worldwide. Simon heads the London-based Mobilium Global Group, which provides high-level strategic counsel and guidance to brands, media companies and professional organizations across the entire mobile spectrum, from mobile handset makers and telco operators, to technology companies, media companies, healthcare organizations, movie studios and TV networks, global music and You Tube artists and TV personalities, ad agency groups, brands, and platform providers around the world. Specifically, Simon guides & advises clients and companies on innovative, practical ways to expand an individual or company’s mobile social media presence through effective mobile “disruption” & accurately targeted brand development and profile enhancement, all of which help to grow revenues, & also to maximize mobile profile attention, reputational growth and impact, & achieve consistently good profitability. This includes the use, distribution and mobile marketing of mobile apps, health and education content, entertainment content, mobile music, mobile games, mobile money, mobile social media, and mobile media technology and SIM-card technology applications. In early 2014 Mobilium Africa, their pan-Africa subsidiary launched the first comprehensive, pan-African and Africa-specific mobile health delivery network known as the Smart Health Hub. (http://www.gsma.com/newsroom/gsma-announces-mhealth-partnership/) With one billion Africans and some 800 million African mobile subscribers, Africa has deep potential for mobile device growth across all sectors playing a key role in the development of the global mobile industry. Mobilium Africa has worked with The Global Fund for AIDS, TB and Malaria & the World Health Organisation (WHO) , the official participants in Smart Health Consortium, as is SafePoint Single-Use Syringes, and the support of the World Health Organization Maternal & Newborn Health arm (PMCNH). Smart Health Hub is part of a wider range of mobile commerce, software and innovation that Mobilium has begun to bring to the entire African continent embodying mobile health, mobile wallet technology, mobile payment systems and new ways of using mobile gamification, mobile social messaging, mobile social music & mobile social lifestyle reserach into creating better lives for digital citizens everywhere. Simon also works closely providing high level mobile media & content guidance and counsel to global thought leaders, media companies, media properties and creative artists to identify global mobile revenue opportunities and shape their mobile strategies worldwide. In addition, he works closely with the GSM Association, the global governing body of the international mobile phone industry. The GSMA organises the annual Mobile World Congress in Barcelona -106,000 attendees and over 170 Ministerial delegations. Simon began his career co-founding the Zomba Group of music companies (including record label Jive Records) in the 1970s, building it into the world’s leading independent music and music publishing company. In the early ’90s, he came to the USA & established a media company in SIlicon Valley. In the mid 90’s he was appointed Executive Vice President of Capitol Records and Blue Note Records in Hollywood, and built Capitol Records & EMI’s emerging new media business into a successful and significant global enterprise that established new business models for the record and music publishing industry.. Between 2005 and 2009, Simon served as the mobile producer for three of the highest profile, live global broadcast events in recent history. Live 8, Bono & Sir Bob Geldof’s nine-city global concert, brought mobile connectivity to nine capital cities and an international television audience of over 800,000,000 viewers. This enormous people-powered call-to-action resulted in the G8 countries reducing the debt of the world’s poorest nations. He was also the Mobile Producer of Al Gore’s Live Earth, the world’s first eco-centric global impact event that spanned 10 countries and brought the vital message and visibility of global climate change to a worldwide audience of over 500,000,000 television viewers and online participants. In 2009, Simon was the Mobile Producer for the TED.com’s (www.ted.com) Prize-winning project, Pangea Day, a global multi-platform broadcast featuring short films from international filmmakers, from around the world. By integrating a mobile/SMS layer to all these worldwide events, Simon helped set the standard for integrating mobile technology as an essential element in global television and major global event broadcasting. Internationally, Simon is known as a highly impactive and popular speaker and moderator on all aspects of mobile commerce, content & the creative digital industries. He has delivered keynote addresses at major international gatherings, including the annual Music Matters/All That Matters/Digital Matters conferences (Singapore); South Asian Mobile Conference (Colombo, Sri Lanka); Music Matters India (Mumbai); Presidential Innovation Forum Conference (Moscow); Mobile World Congress (Barcelona); Pioneers Tech Festival (Vienna); TED Global (Oxford); Connected Creativity (Cannes); the World Copyright Summit (Brussels and Washington, D.C.); Amsterdam Dance Event (ADE) annual conference; The Kofi Annan Centre for ICT Excellence (Accra, Ghana); MusExpo (Los Angeles); the Wireless-Life Sciences Alliance conference (San Diego); Rutberg Wireless Influencers’ Conference (Palos Verdes, California); SXSW (Austin, Texas), Brilliant Minds in Stockholm, SLUSH in Helsinki, The Eurasian Partnership in Yerevan, Armenia, DLD Tel Aviv & Munich, The African Leadership Network in Mauritius, Africa 4 Tech in Marrakech, Morocco & Singularity University’s Exponential Medicine in San Diego; and numerous other high-level speaking engagements around the world. Currently, he serves on the boards of several companies, including Hungama Digital Media Entertainment (India’s major mobile Bollywood content producer), and The World Summit Awards and World Youth Summit Awards – the United Nations and its Millennium Development Goals annual global mobile apps competition. 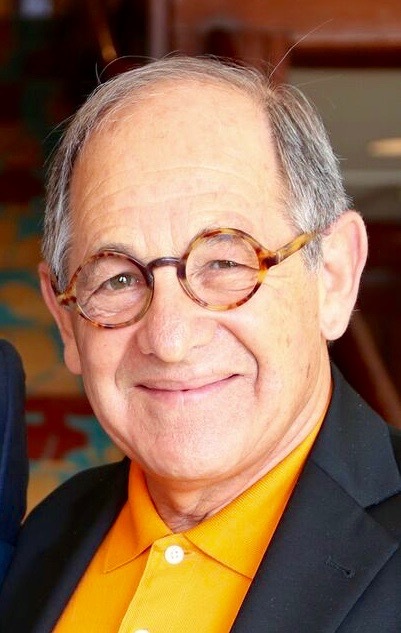 Simon is a board advisor to the Wireless-Life Sciences Alliance (San Diego, California), the global leader in the fast-growing wireless connected health industry, and is Chairman Emeritus of the influential Mobile Entertainment Forum – Americas, which he founded. The MEF (www.mefglobal.org) is the global voice of the international mobile content industry. Ralph Simon travels the world on a relentless search for the latest in mobile and device innovation, the best new emerging mobile markets’ start-ups, with special emphasis on relevance to Europe, Africa, Asia & the Americas. He has formidable knowledge about ways to deliver mobile content, “social broadcasting” and entertainment and grow the creative industries, and critically, understands what drives “Screenagers” the world over. He is a Fellow of the Royal Society of Arts in the UK and a member of the National Academy of Recording Arts & Sciences in the USA.